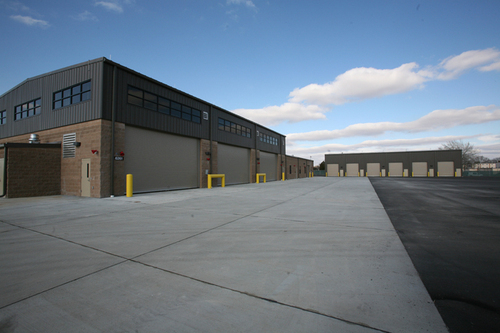 The Louisville District USACE contracted TJC Engineering, Inc. to design and construct multiple SOF complexes at two separate locations as a packaged project. Two (2) modified, small, Tactical Equipment Maintenance Facilities (TEMF) and the associated buildings which serve their function. Each TEMF building (11,977 SF each) and will be used to maintain most, if not all, wheeled battalion vehicles. 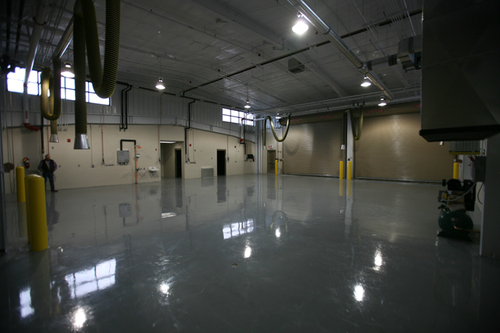 Four (4) maintenance bays accommodate any size vehicle for long term repairs while there is a dedicated bay to perform regularly scheduled maintenance such as lubes and oil changes etc. TEMF facility administrative function includes office space, showers and lockers. Facility supported by NIPRNET and SIPRNET communications closets. Two (2) Deployment Equipment Storage warehouses (DES) (7,300 SF each) with chain link fence portioned areas. The two (2) POL buildings (540 SF each) are essentially large sheds which will house all of the lubricants and solvents used by the mechanics in the maintenance of the vehicles in the TEMF building. Storage of medical supplies and other items which will require tighter climate and humidity controls. Office space for several staff personnel who will maintain stricter monitoring of the warehouse contents. Concrete ramp and two bay below grade loading dock. The TUAV maintenance hangar (7,292 SF) supports the unmanned aerial vehicles. Houses the Platoon Head Quarters, FSR office and latrines with showers. Maintenance bays with anti-static controls to handle up to four vehicles. There is a secure camera storage room in addition to large and small parts storage rooms. Extensive site work, block, architectural, and electrical/ data work similar to ARC. Concurrent work on multiple sites involving multiple buildings mirrors stringent scheduling and supervision required of Proposed ARC. TJC successfully managed accelerated work for extended timeframe to meet critical deadline with no lost time accidents.